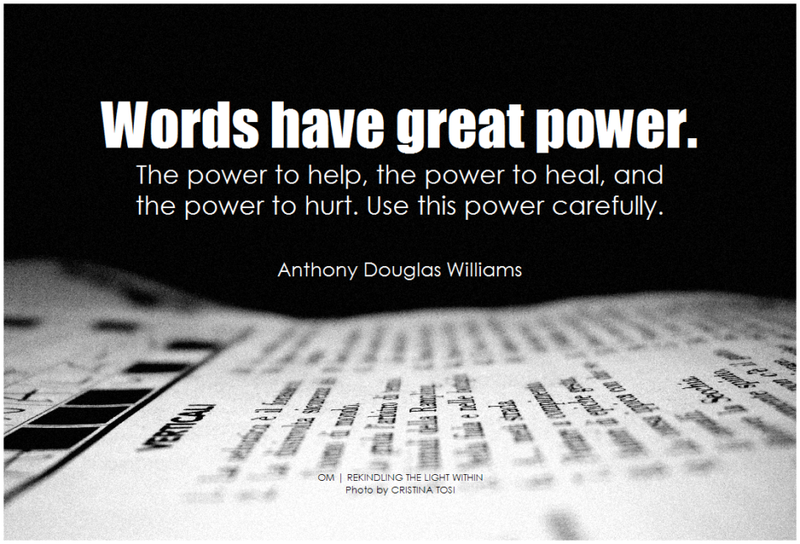 ”Words have great power. The power to help, the power to heal, and the power to hurt. Use this power carefully.